Linda Mandarin language school will have plans to expand its operation to the East and West side of Singapore and continues to offer various Chinese language courses for both adults and children. Singapore, Singapore - March 26, 2018 /MarketersMedia/ — Linda Mandarin language school will have plans to expand its operation to the East and West side of Singapore and continues to offer various Chinese language courses for both adults and children. 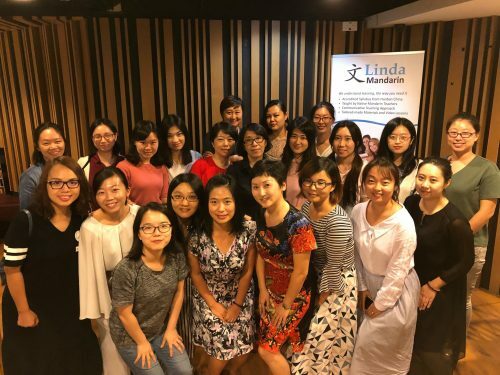 Since 2002, Linda Mandarin has been focused on providing quality Mandarin training to individuals and corporate clients keen on learning Chinese. Between 2013 to 2017, Linda Mandarin has trained more than 5,000 students in learning the Mandarin language. Over the years, they have received recognition and numerous awards for achievements in their quality language courses such as Top 100 SME Singapore Business Luminary for 2017/2018. Located in the Central Business District (CBD) area, their school offers convenient access to 3 MRT stations and has progressively grown to occupy 2,000 square feet of space presently. The current teaching team in Linda Mandarin consists of 38 Native Chinese teachers who are certified with a Masters or Bachelor’s degree in applied linguistics studies and teaching Chinese as a foreign language. They are also bilingual so they can communicate and teach effectively in the classroom, with relevant work experience to deliver lessons at Business Chinese level. Private and group classes are offered at beginner and intermediate levels, as well as HSK exam preparation courses, conversational Chinese learning and Business Chinese courses for working professionals. Linda Mandarin uses China’s Hanban-accredited course syllabus that is aligned with the international HSK Test standard. Teaching and learning resources include school pre-recorded teaching videos and classroom recorded video lessons which serve as an additional learning tool to support their learners. Linda Mandarin tops the rank as the #1 search result on Yahoo Search for numerous Chinese and Mandarin keywords namely “Chinese Course Singapore” and “Mandarin Language Singapore”. They have also garnered the most number of online reviews for a Mandarin school in popular online search engines.